Looking for a new Jeep Cherokee for sale near Stamford? With new Cherokee models in stock, Garavel CJDR has you covered. With an available 2.4L Tigershark MulitAir engine and a Uconnect 4 infotainment system with an 8.4-inch touchscreen, the new Jeep Cherokee has the power and technology that Greenwich drivers want. And with our latest lease & financing specials, it's never been easier to get behind the wheel of the new Jeep you've had your eye on. Browse our new Jeep Cherokee models for sale online to discover the one with the features and options you're looking for. 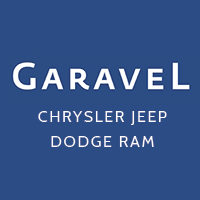 Here at Garavel CJDR, we aim to provide Bridgeport area drivers the ultimate car buying and ownership experience. When you choose to buy a new Jeep Cherokee from us, you'll rest easy knowing that we offer a free lifetime limited warranty on all new vehicles we sell so you'll be protected for as long as you own your vehicle. With a breakfast bar and free Wi-Fi, our service department takes the hassle out of keeping your new Jeep in top shape. Once you've browsed our new Jeep Cherokee models for sale online, it's time to stop in for a test drive. Contact us today to schedule your visit to our showroom in Norwalk.